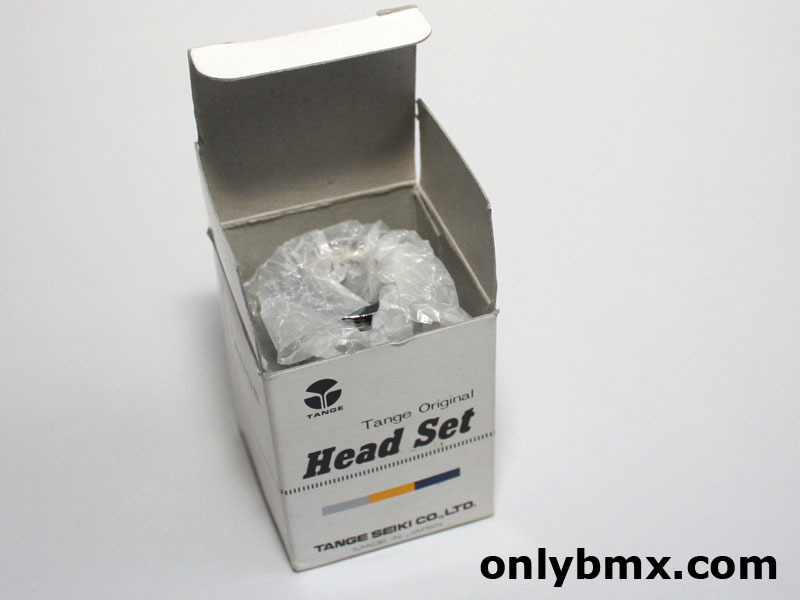 Tange Seiki BMX headset. This Tange AW27 headset is chrome and still in the original box and wrapping. Never mounted. 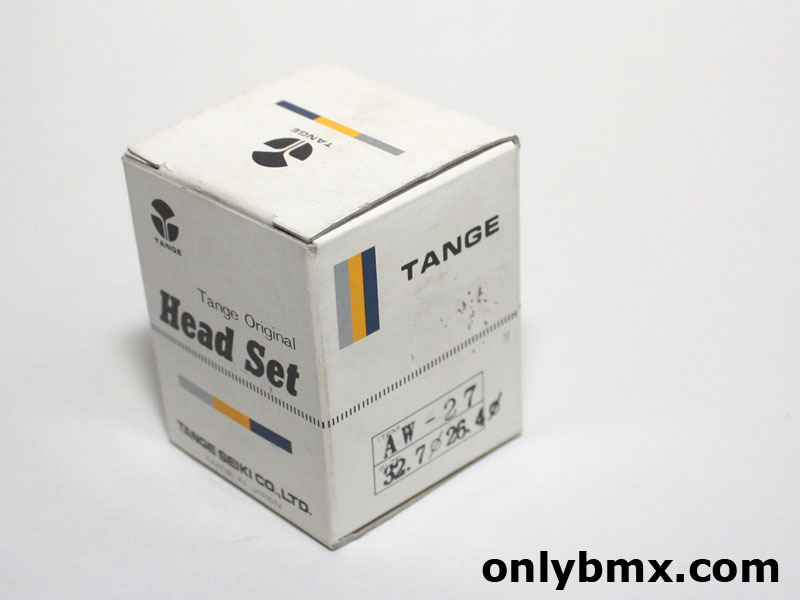 The AW 27 headset was original equipment on Mongoose BMX completes, albeit with the Mongoose stamped top nut, not the Tange one. You will pay dearly for the Mongoose stamped headsets these days. This old school BMX headset fits BMX frames with a one inch threaded head tube setup and not the newer threadless head tubes.